I must confess I thought this was an "energy" water enhancer with caffeine and such when I purchased it. I saw "infused with B vitamins" and just assumed, wrongly, that there would be caffeine as well. But I have plenty of use for non-caffeinated water enhancers, too. Whether you're looking to replace expensive energy drinks or any other type of beverage, these little bottles of concentrated flavor can save big bucks in the long run—basically generic Mio. And as far as flavored water additives go, this one is pretty tasty. 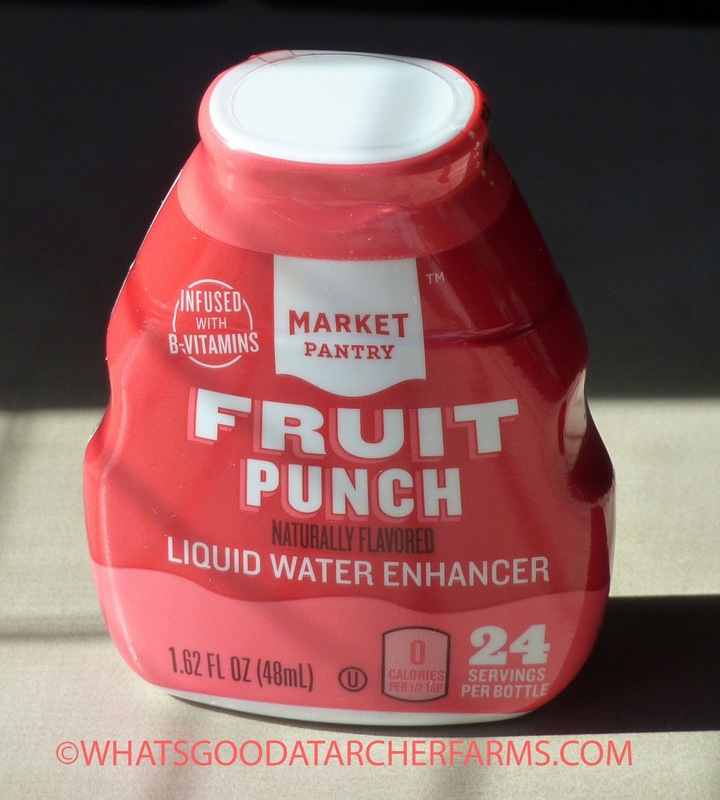 It tastes like a typical sugar free fruit punch. There's a bit of that tart, unpleasant aspartame type taste that lingers on the tongue, but that's pretty common with water enhancers in general. 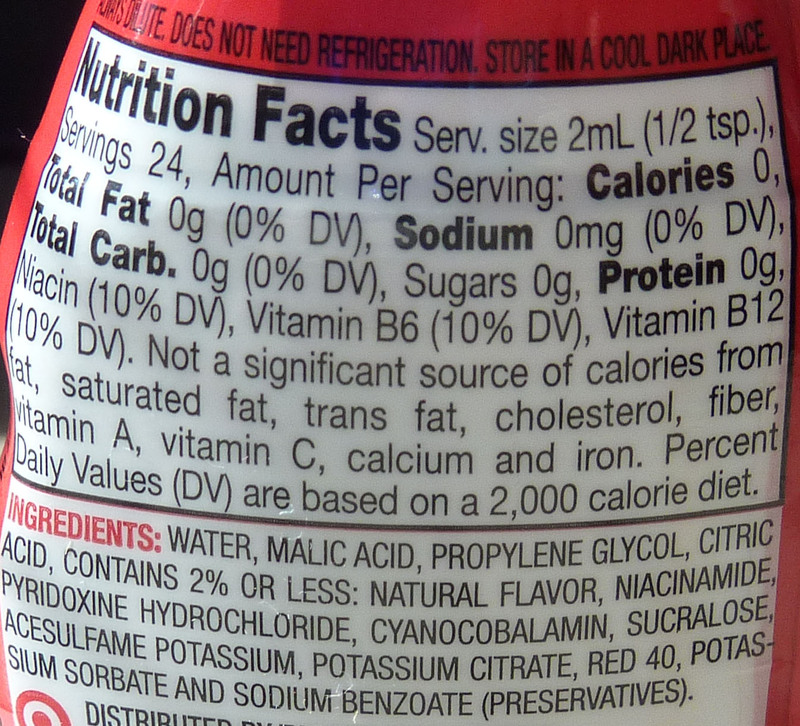 Just to clarify, this product does NOT contain aspartame, but there are about a half dozen other unpronounceable chemicals present, not to mention Red 40. Probably not great for you, but let's all hope that we're ingesting them in such small quantities that it'll take a really long time to actually kill us. 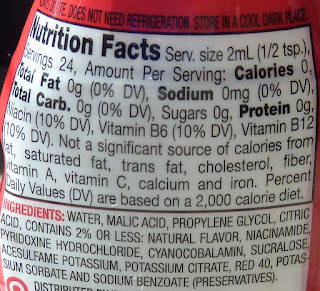 Zero calories, $2.97 for the bottle, B vitamins, 24 servings, and a flavor that's not entirely revolting?